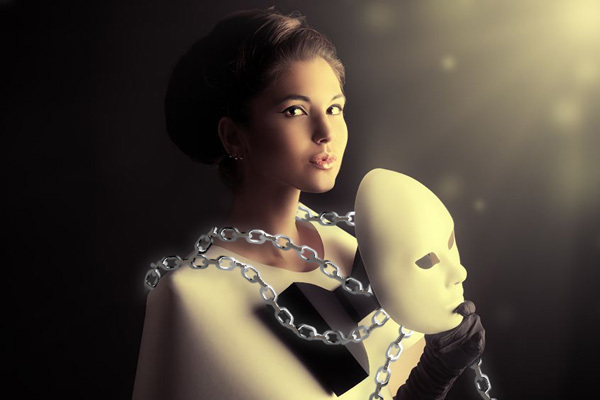 Are you chained to Photoshop? 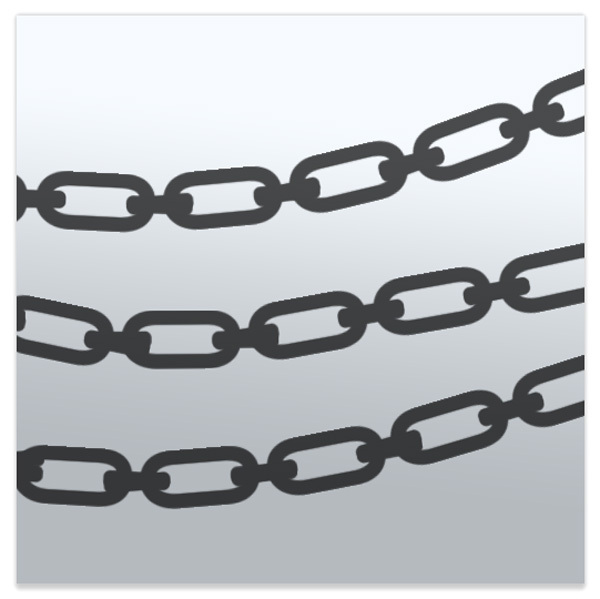 Now you can create a cool chain link brush to show off your addiction! In this tutorial, I’ll show you how to create a custom chain link brush as well as how to give it color and volume with Blending Options. Let’s get started! Create a New Document in Photoshop at 600x300pixels with 72dpi. Get ready to jump right into the chain brush because this part goes quickly! Select the Rounded Rectangle Tool (U) and create a quick shape with No Fill and a black Stroke of 22pts. Change the shape by making it more round. Use the Direct Selection Tool (A) to grab the anchor points and make the shape rounder. You might have to delete some anchor points to perfect the shape. When you’re finished it should look like the one below. 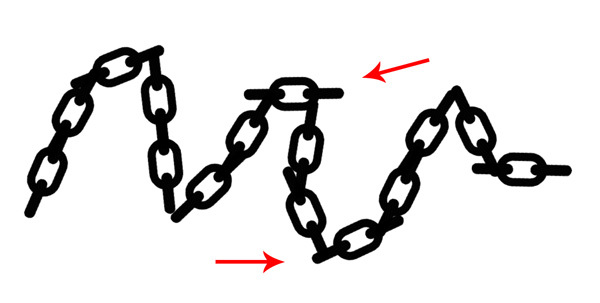 Finish the chain by adding the horizontal links. Use the Rounded Rectangle Tool (U) with a Solid Fill of Black to create the left and right links. Now let’s make our custom brush. 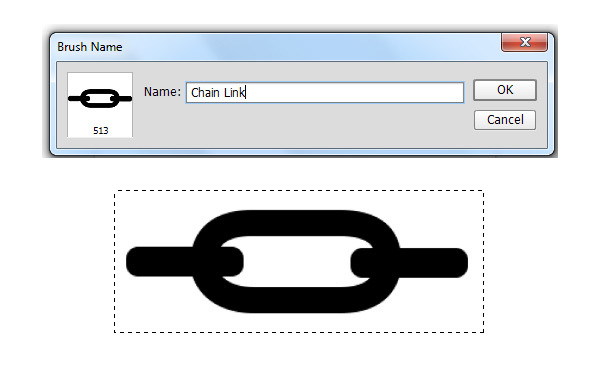 Use the Rectangular Marquee Tool (M) to make a selection around the chain link shape. Go to Edit > Define Brush Preset , name your brush and hit OK.
We’re not done with the brush just yet! Hit F5 to open the Brush Panel. If we keep the brush as is it’ll look something like this. 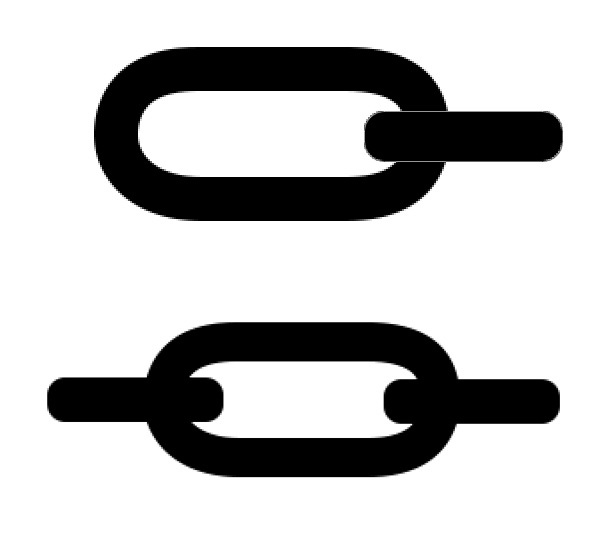 So we need to fix these points in the chain where the links break. 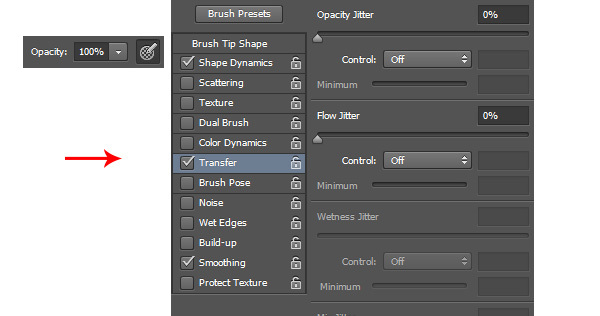 To make the brush a fluid chain link that’ll work well, we’ll have to edit some settings in the Brush Panel. It’s important to note that in order for this brush to work, it’s imperative that you are using a pressure-sensitive graphics tablet, or else the settings may not work. 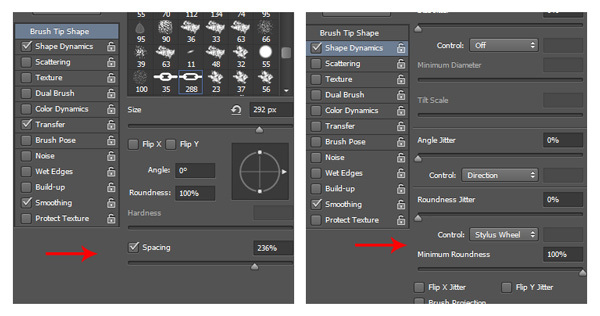 You’ll need to adjust the settings under the Brush Tip Shape, Shape Dynamics, and Transfer options. First change the Spacing to 236%. Then go to Shape Dynamics and change the Angle Control to Direction and the Roundness Control to Stylus Wheel. Now just select the option on the toolbar for Pen Pressure for Opacity. This will automatically create an option for Transfer. Again, this option will only work when using a pressure-sensitive tablet. 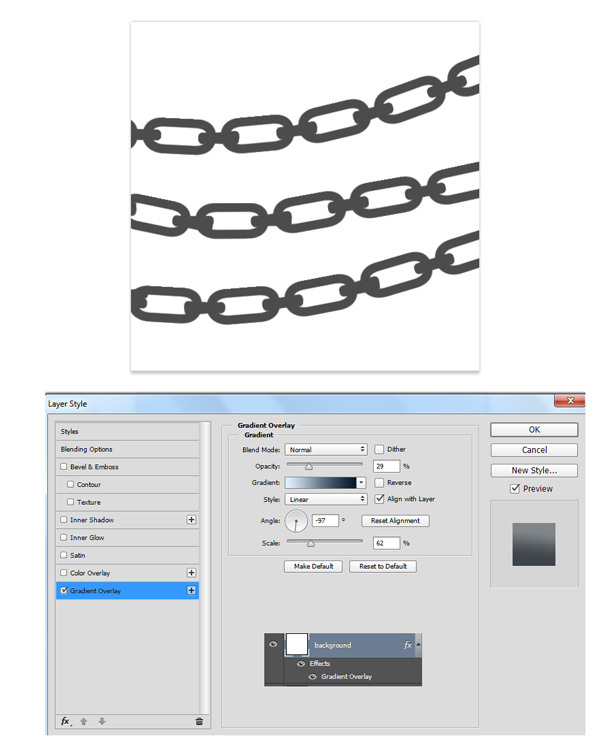 What would a good chain link brush be without some awesome metal texture? Create a few solid dark gray strokes on a New Document. Then fill the white background with a gradient. Right-click the layer and go to Blending Options. Select Gradient Overlay and fill it with a dark to light blue Linear Gradient. Here’s what it looks like so far with just the background. To fill the chain with a metal texture you’ll have to apply the texture to the brush strokes directly. 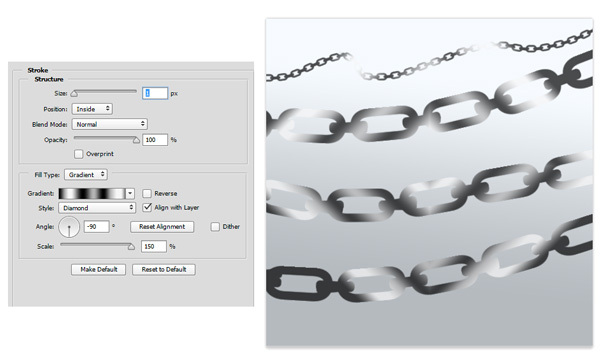 Right-click the layer with the chain links and go to Blending Options. First add a metallic Stroke with the following settings. 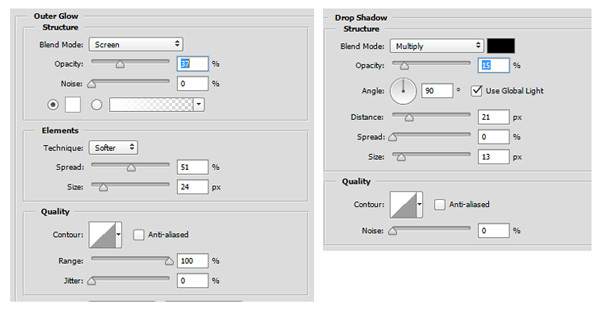 To give the chain that real 3D feel, add options for Bevel & Emboss and Contour using the following settings below. 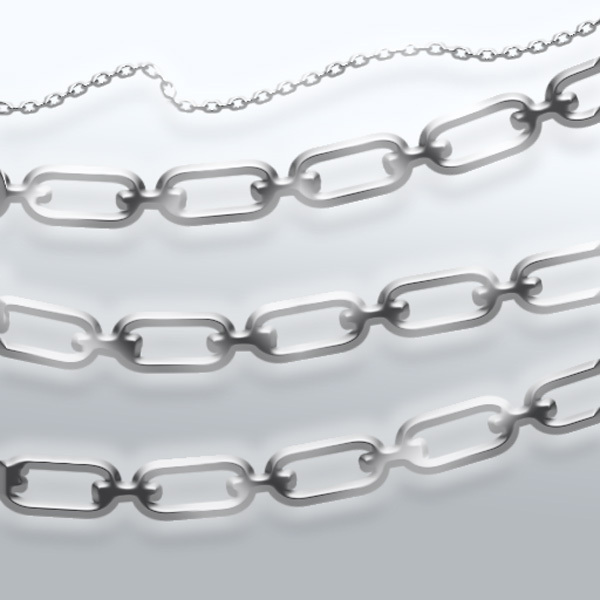 Finish the chain effect by adding a Drop Shadow and Outer Glow. 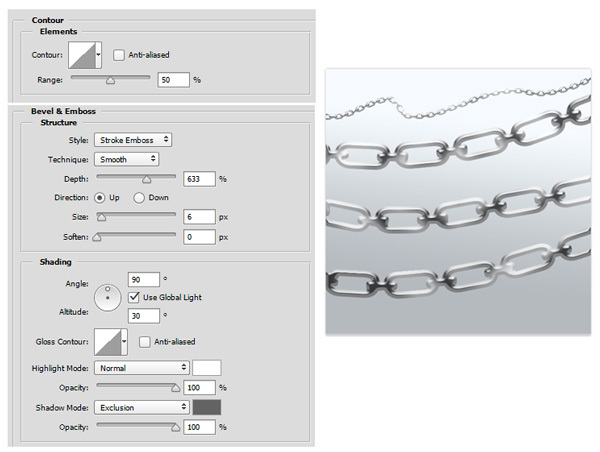 Here is how the final look will appear on your custom chain brush! Now that your custom brush is done, time for some experimentation! 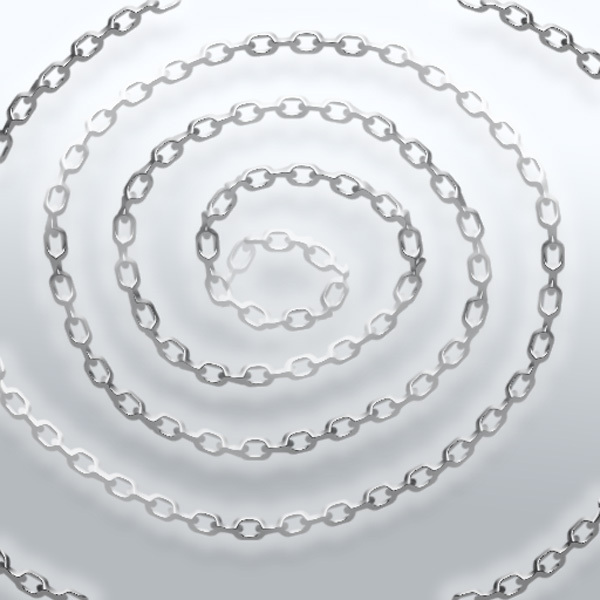 As long as you have the Blending Options for this layer, you can change the chain link to any shape or design. In some case, the link may still break, so just use the Eraser Tool (E) to clean those areas up. You might also have to adjust the Outer Glow if it appears too bright. Have fun incorporating your brush with photos and digital art for even more awesome effects! I hope you’ve enjoyed this custom Photoshop brush tutorial. Let us know how you liked it in the comments below! And good luck!